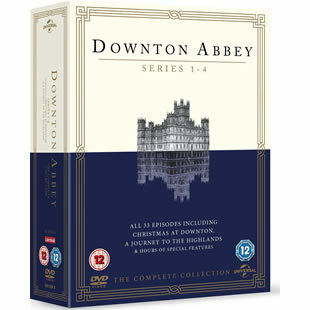 Downton Abbey DVD set. 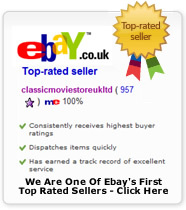 Containing the complete series 1-5 and Christmas specials on 19 DVD's. (please note the image is out of date and shows 1-4, but you will be posted 1-5) DELIVERED FREE IN THE UK when you spend over £15. Contains all episdoes of the first four series of the ITV costume drama, following the lives and loves of those above and below stairs in an English stately home. This collection also includes the Christmas Day episodes from 2011 & 2012. BONUS FEATURES: 1) The Making Of - A full and detailed Behind the Scenes of Series 4 including a look at changes in fashion and how the house is moving forward, with new cast members and exciting storylines. 2) Downton Diaries - The cast bring fans even closer to the world of Downton, with this exclusive look into a typical day on the set of Downton, from the arrival on location, hair & make up, to costumes and working with the cast. 3) Meet the new cast - An exciting look at the new characters joining the UK's number 1 TV drama and what we can expect to see from them. Downton Abbey tells the story of a complicated community in the run up to the First World War. The house has been home to the Crawley family for many generations, but it is also where their servants live, and plan, and dream. The are also very competitive. Some of them are loyal to the family and committed to Downton as a way of life, others are moving through wanting more. If you would like to order the book or dvd, or series individually we can do this, call us on 0208 123 1333. Is there anyone who hasn't got caught up in this series? I don't even watch television, refuse to pay the huge cost for satellite TV in my area, but I certainly made sure I got this collection. Great acting and writing. Julian Fellowes certainly knows how to write a series.